Earlier this morning, we had reported that the post production works of Vishwaroopam 2 have resumed. We have some more exciting updates following that! When we contacted our reliable sources to know more about the film's progress, they said that the film is almost over. Only a week of patchwork shoot is left out, and the editing is believed to be in its finishing stages. It was also told that the film would be released much faster and sooner than the audience expect. Meanwhile, Rajesh M Selva took to Twitter to share his updates about Vishwaroopam 2. He tweeted, "Yes, Vishwaroopam 2 revived..! Post works with the same old crew back in action. Exciting..! #Vishwarooam2 @GhibranOfficial @kunal_rajan. 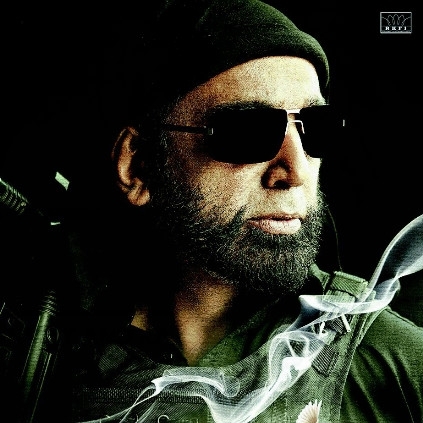 Vishwaroop2 (Hindi) and Vishwaroopam2 (Telugu) dubbing in progress.! It's gonna be much bigger than Vishwaroopam. #happycrew #Vishwaroopam2." Music director Ghibran also shared his happiness about this by tweeting, "Started working on #Vishwaroopam2! Excited and thrilled as it's my first film started with Sir @RajeshMSelva @kunal_rajan".